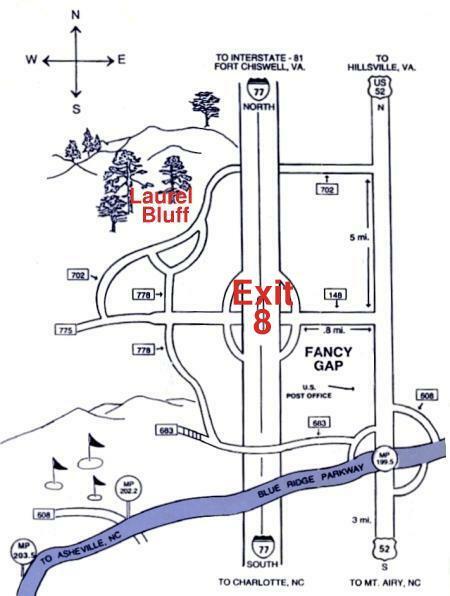 Directions to Laurel Bluff Cabins,Fancy Gap va, Carroll Co. Located in Carroll County, on the North Carolina, Virginia border, Fancy Gap is found where US Route 52 crosses the Blue Ridge Parkway. It was named by Colonel Ira Coltrane, who in his boyhood, drove a team of horses across the mountain. 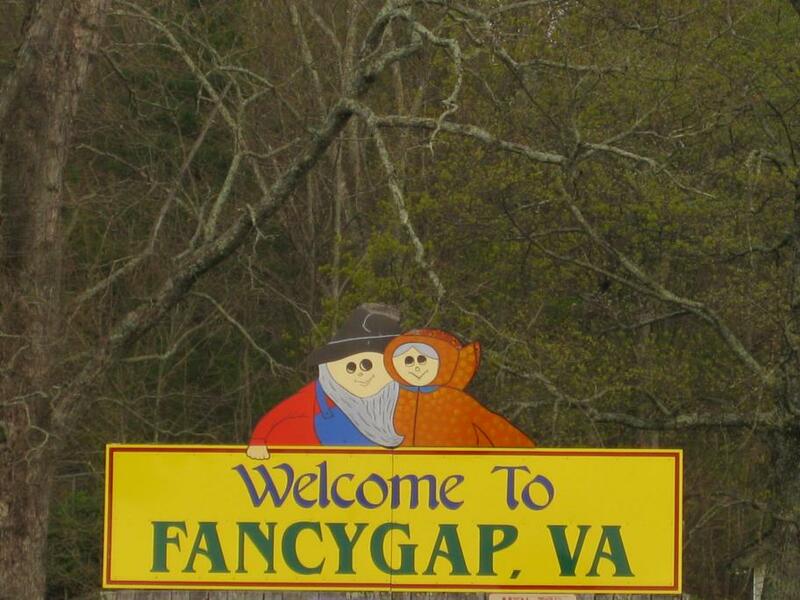 He was overwhelmed by the beauty of the gap and named the area “The Fancy Gap. Fancy Gap is the best way through the mountains. From the beautiful scenery and fresh mountain air to the shops, restaurants, golf courses, and most of all, the people; there are many reasons to spend some time here. Whether you come for a day or a week, you’ll love Fancy Gap! Take exit 8 (Blue Ridge Parkway exit) or exit 14 (Hillsville, Galax exit) off I-77. Vacation at Laurel Bluff Cabins!